The hand on the doomsday clock inches a few ticks closer to the end, and “Minutes to Midnight” gives way to “A Thousand Suns.” Linkin Park’s latest release is a concept album, with a title borrowed from the Bhagvad Gita: “if the radiance of a thousand suns were to burst at once into the sky, that would be like the splendor of the mighty one.” This image of a burning sky echoes throughout “A Thousand Suns,” from the eerie sound bites of J. Robert Oppenheimer as he describes the Trinity nuclear test, to the samples of Dr. Martin Luther King Jr. remarking on the Vietnam War, to the lyrics of the songs themselves. But Linkin Park is playing more than the end of the world. Their music fuses genres—at times sounding like hip-hop, at times like rock, at times almost like European metal with its melodic vocals and assertive instrumentation. This counterpoint is used to powerful effect in “A Thousand Suns;” the grittier hip-hop against Chester Bennington’s smooth vocals sounds like human shouts in the face of the powers in the sky. In both the human shout and the angelic chorus, Linkin Park explores a multitude of loosely connected ideas of doomsday and what it means—everything from love to religious justice to political fury to a vague story of nuclear war. 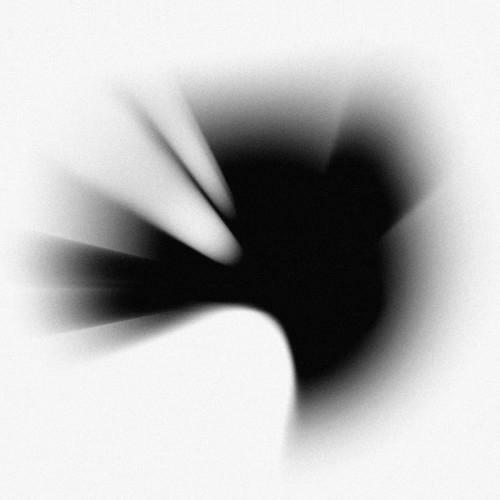 Because ”A Thousand Suns,” is a concept album, much of it has to be taken as part of a whole. Oppenheimer’s voice over a heartbeat of explosive percussion in “The Radiance” is probably not something to listen to on the way to class, but it’s a powerful preface to what follows, recalling mushroom clouds and the sense of humanity somehow having gone too far. While there are moral and political statements in the work, the dominant theme emerges from a few songs tracing a human reaction to an abstracted doomsday, though not necessarily to an actual end of the world. These songs tend to sound more like rock than anything else, and their lyrics, accordingly, are more about human struggles, as in the track “Iridescent,” where Bennington sings about “when you feel cold, and lost in desperation.” Snatches of the same lyrics and melodies thread through many of them, though most are distinct songs. In between are recordings of voices—Oppenheimer, Mario Savio, Martin Luther King, Jr.—set to music and occasionally distorted to lend them an almost prophetic echo. However, while many of the elements that make Linkin Park so electric—the contrast between Mike Shinoda’s rap and the far more melodic vocals of Chester Bennington—are well-balanced throughout the album, this is often not so with its individual songs. Some of the more melodic tracks—“Burning in the Skies”, for instance—are uninteresting when played individually, though they provide a good counterpoint to the voice recordings and some of the rap. Much of the interest in the record lies in the contrast between its different pieces, not as much as in the pieces themselves. This isn’t to say that the album doesn’t have its great singles. “When They Come For Me” starts with ferocious percussion and adds on first a verse of rap, and then additional vocals, ending with a chorus. “Iridescent” and “The Catalyst” are both characterized by Bennington’s melodic vocals, but they’re both heartfelt and provide enough musical contrast to be interesting. The last song, “The Messenger”, is strangely unadorned—just a guitar and vocals—compared with the rest of the work. It sounds uncannily like a popular love song and, though unexpected, seems to be a conceptually fitting conclusion—almost as if to say that “love keeps us kind” when nothing else remains. “A Thousand Suns,” taken as a whole, is an ambitious album that reaches far beyond what Linkin Park has done previously. It has promising singles, but far more important is the vision articulated in the work as a whole. And while that vision can be unclear—sometimes swaying towards political fury, sometimes towards peace in the face of an apocalypse—the framework it creates to organize the music is memorable. Linkin Park has the wherewithal to make doomsday incandescent—and though their new release doesn’t have the coherence of prophecy, it has all of the contagious tension of the brink.